Lisa Burton is currently a PhD candidate at Monash Law School. She is completing a PhD under the supervision of Professor Jeffrey Goldsworthy and Dr Colin Campbell, examining the constitutional foundations and limitations of judicial review of executive action under the Australian Constitution. Lisa completed a Bachelor of Arts/Bachelor of Laws at the University of Western Australia, graduating with First Class Honours and being awarded the prestigious Hackett Scholarship as the highest ranked student entering the Law Honours program. Lisa has since completed the Bachelor of Civil Laws at the University of Oxford, where she graduated with Distinction and as the prize winner in Comparative Public Law. 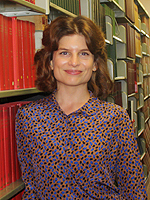 She has also worked as a researcher with the New South Wales Government Appointed Panel of Constitutional Experts on Recall Elections and the Gilbert + Tobin Centre of Public Law at the University of New South Wales, and as a sessional lecturer in Administrative Law and Federal Constitutional Law. Lisa has published sole and co-authored, peer-reviewed articles in leading national and international law journals, and is the co-author of a forthcoming book chapter examining the impact and design of the Parliamentary Scrutiny (Human Rights) Act 2011 (Cth). Lisa is completing her PhD with the assistance of an Australian Postgraduate Award and is a Monash Law Dean’s Postgraduate Award Holder. Lisa was recently awarded an Australian Endeavour Research Fellowship from the Federal Government. The Endeavour Fellowships are highly-competitive funding grants, which enable Australian scholars to travel abroad to undertake research towards a postgraduate degree. Lisa will travel to the United Kingdom in September 2014, to conduct further research and to present her findings to leading public law academics in the UK.